OkCupid is a free internet dating site, and has your best interests at heart. OkCupid’s co-founder Chris Coyne also oversaw development of one of the most popular educational websites, sparknotes.com! So yeah, OkCupid is trustworthy, we promise. As a free internet dating site, OkCupid is loaded with unique and interesting people that might catch your eye. Your job? Be honest with yourself and what you want. OkCupid makes sure you’re on the right track in perfecting your profile, and really narrows down what it is you’re looking for. Through a mathematical matching system, OkCupid is your very own love calculator. Joining this free internet dating site will enhance your chances to find romance, love, and potentially the man or woman of your dreams! OkCupid uses unique methods to find the perfect match for its users. For starters, they actually calculate the perfect match for you using a specific set of fun and interesting questions that link you to users with similar responses. Once you sign-up, the process is very informative, easy, and effective. OkCupid is smart-they know a simple set of questions isn’t enough. Through a series of specific questions, they rate and compare your answers, ask you how important those questions are to you, and work their hardest to narrow down your dating needs and past experiences in hopes of finding you the perfect future lover. In order for their calculations to work, it’s up to you to be specific, and 100% honest with your answers. If you want even more advanced results, OkCupid lets you upgrade to an A-List subscription, which proves to both reasonable and effective. Not only is this upgraded subscription affordable, it’s actually worth your money! Don’t want others to see you’ve viewed their profile? Want to know if your messages have been read? Change your username? With an A-List OkCupid subscription, you will get all of these benefits. OkCupid hasn’t forgotten the fun of blind dating. Often online dating sites ignore blind dating, letting millions of users post photos of themselves. With OkCupid’s ‘Crazy Blind Date’ feature, they tease you with jumbled photos of prospective blind date matches, and you can get set up with them in just a few clicks! OkCupid provides you with advanced settings, giving you a geographical assistance and restaurant/cafe ideas to find the best spot for you to shmooze with your dates. 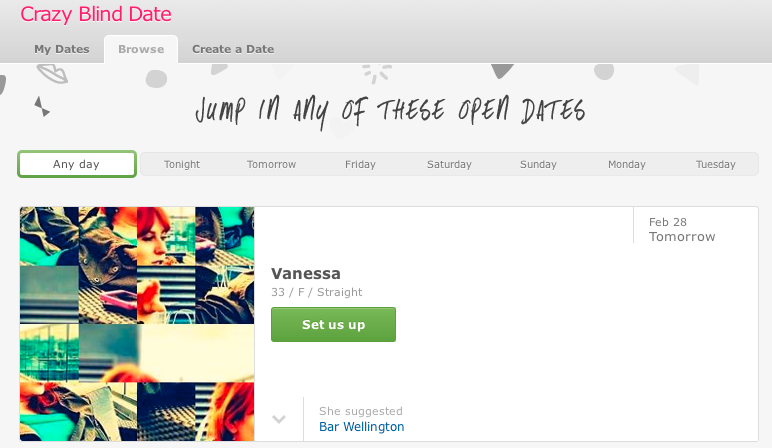 While OkCupid is free, you can upgrade your dating site benefits with an A-List subscription. -OkCupid is user friendly and easy to navigate! OkCupid is one of the fastest growing internet dating sites, and it’s free! 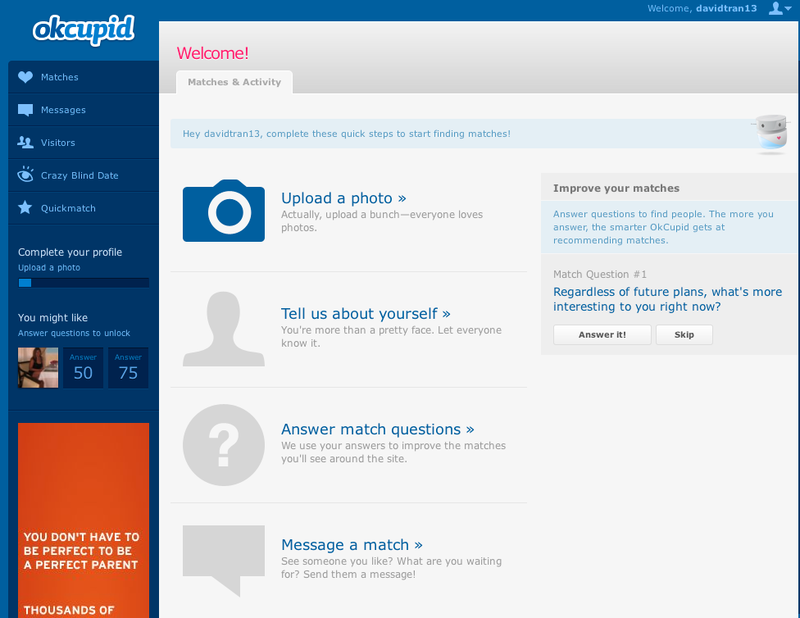 With tons of features, OkCupid lets you narrow down who’s right for you and who’s not. As long as you’re upfront and honest, OkCupid will be too. Through a mathematical matching system, OkCupid finds you accurate results and it’s fun! With OkCupids personality tests, Blind Dating, and comparing feature, you won’t find yourself bored. Founded by a group of masterminds, you are in good hands. OkCupid offers you the opportunity to engage in fun, casual dating, and might be pleasantly surprised to find your perfect match. Goodluck!